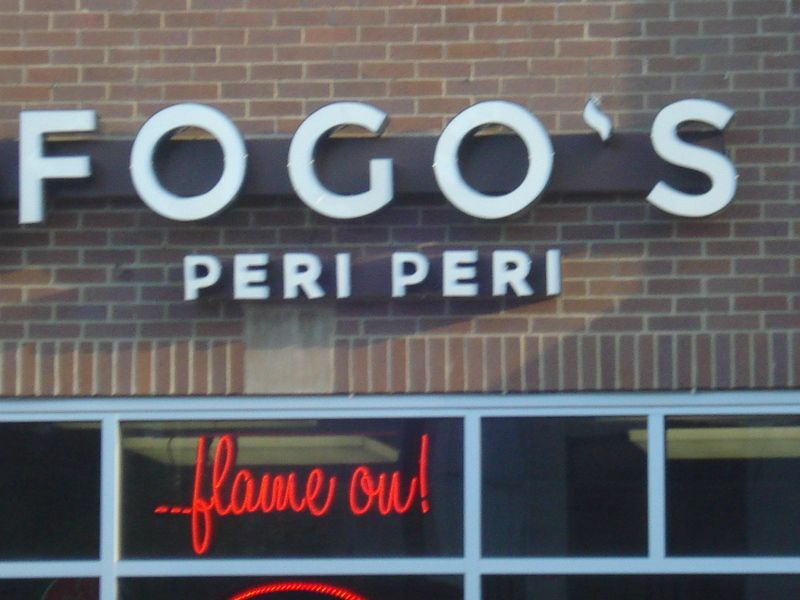 I never went. I wanted to but it never happened. And now it never will. When I was a kid the only place I ever dreamed of traveling to was New York City for the express purpose of visiting the editorial offices of DC Comics. Kids! 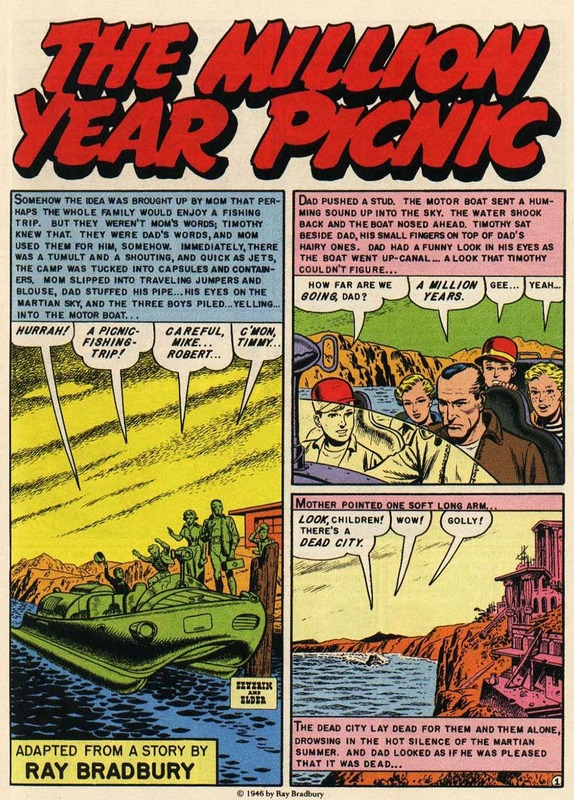 As an adult I've been to New York City a few times (as you know from reading this blog post about Jack Kirby original artwork that I viewed at The Jewish Museum back during the infancy of the hayfamzone) but never anywhere near the DC offices. Now that DC is completing its long-planned move to Los Angeles, no longer does there even exist any DC offices to visit in New York! So I've moved on to other items on my list. Please remember though that the world traveler named Jeanette did visit the NYC DC offices a while back and she shared her findings with us. Here is another look at the great photos that Jeanette snapped of the way the floors were identified inside the building's elevator and of an assistant editor's office. And have you ever seen an image of the huge and fabulous wall mural they had? I hope they were able to take that with to Los Angeles! 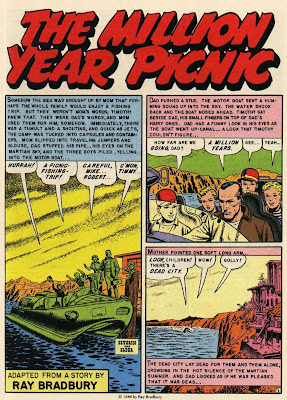 In the above splash page from EC Comics' Weird Fantasy #21 from 1953, the title lettering is by the great Ben Oda but all the captions and word balloons are the stencil-type of lettering called Leroy lettering. All of the Al Feldstein-edited horror and fantasy ECs were lettered in this incongruous fashion (while the pages of the Harvey Kurtzman-edited war titles and Mad were impeccably lettered by Mr. Oda from top to bottom). I've known the name of and appearance of Leroy lettering since the hills were young but I never took the time to research exactly what the process entailed. 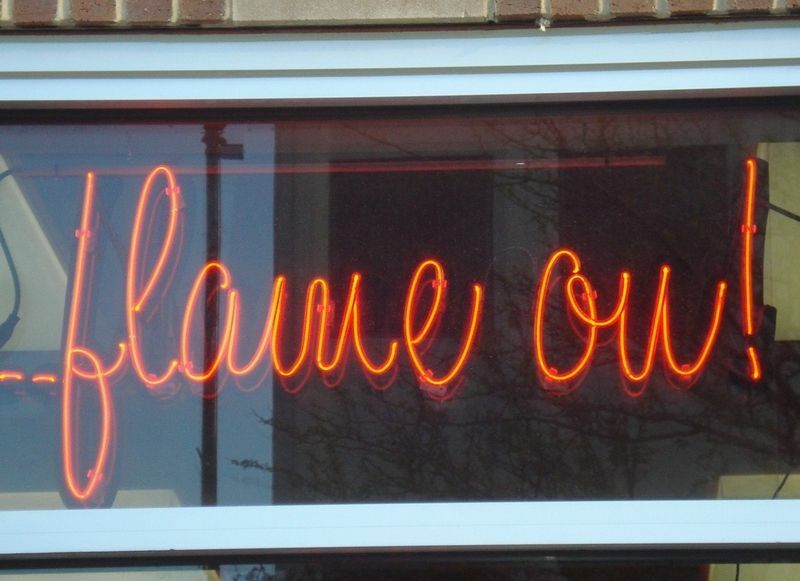 I appreciated this recent blog post of Ben Towle that explained those pyrotechnics (and my blog-chest swells like a proud papa on seeing that that article links to one of the many blog posts I have devoted to my favorite comics letterer of all time). Also, this is a good time to clang the bell once again that you can download a free font based on the hand-lettering of Mr. Ben Oda right over here; I use the Odaballoon font all the time! 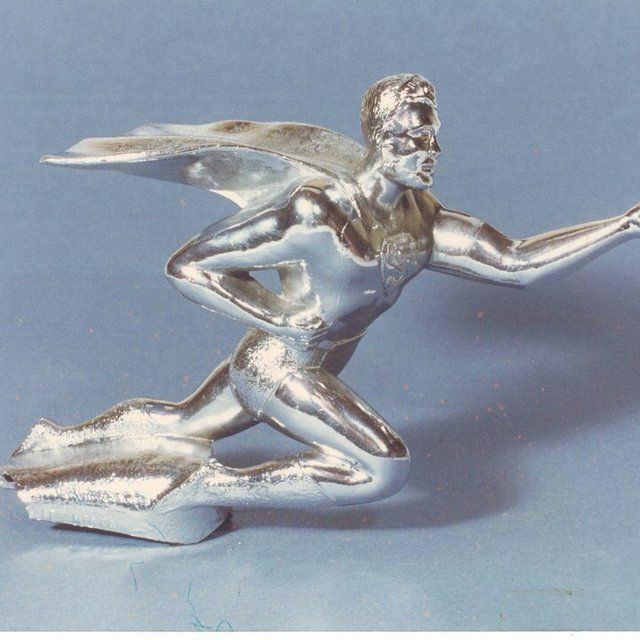 Did you ever see the Superman car hood ornament? Every day I find something on this internet whose existence I had previously not known about! These beautiful car/bike decorations were manufactured in the 1940s and I saw one pop up on ebay recently. Here is an article with a little more information and a few more photos. you'll realize that the owners must be comic book fans. No, Mark Waid did not lose this year's Fans Versus Pro Mr. Silver Age Trivia Contest (although the proceedings did end with the scores a bit closer than usual). No, Mark Waid's fall on that fateful Sunday was a far more literal one. At the end of last week's C2E2 Contest panel, Mr. W jutted up his arms in jubilation at his win (much like he did in the above photo from the Contest of a year or two back) and his chair tipped right off the edge of the dais! Toppling to the floor, his eyeglasses went flying. A long hushed silence hung over the room as we saw no movement. There was a moment of simultaneous relief and dread as the encyclopedic icon of comics bellowed "I'm not okay!" It's still unclear to me if the gentleman misspoke or was joking, but seconds later came a retraction as he uttered "I'm okay, I'm okay." Fans rushed over to help him and everything turned out fine. Craig "Mr. Silver Age" Schutt noted that this year's Trivia Contest was the twentieth annual match-up! I have attended them all and I wonder how many old-timers besides me remember that in the early days there used to be a panel of Pros facing off against the panels of Fans? It became clear before long that anyone else on the Waid team proved to be woefully extraneous. One member of the Fans team is a journalist who wrote this newspaper article about last week's festivities. Included are a number of the actual questions that were asked this year so you can put yourself to the test! Who knew? They didn't even tell me! 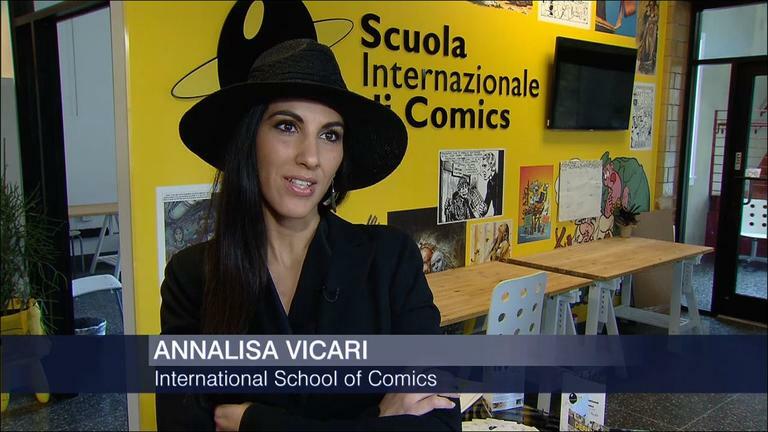 The International School of Comics has opened in Chicago. Artists like Tom Gianni and Jill Thompson are involved and the school's curriculum seems to be organized very much like that of The Joe Kubert School that has been thriving for three decades-plus over in New Jersey. The new school's website is right here, and over here is video of the news feature from Chicago public television that informed me of the school's existence.